New for 2019. The six shortlisted authors will also have their stories published as an ebook / print on demand edition by the HWA and Dorothy Dunnett Society via Amazon. Each shortlisted author will receive two print copies, £25 and invitations to the award ceremony in London. This competition is for unpublished short stories of up to 3500 words and held to celebrate the works of Dorothy Dunnett and the enduring appeal of Historical Fiction. Choose your theme, your genre and your period and bring the past alive. The only condition is that your story is set at least 35 years in the past. Please remember, all entries will be judged anonymously, so don’t include your name anywhere on the story itself. Our system will make sure we know who to contact if you win! Please read all terms and conditions carefully before submitting your entry. Once you have paid your entry fee, please take a note of your Paypal reference number and press the RETURN TO MERCHANT button. Incomplete entry forms and short stories not submitted in accordance with these terms and conditions will not be eligible for consideration. Proof of any of the following conditions of eligibility may be requested from entrants at any time and will be checked at the short list stage. ii) Entries must be submitted in English but the author does not need to be resident in the United Kingdom. Translations of short stories originally published in languages other than English are not eligible. iii) Entries will not be eligible where the author is a member of the judging panel, anyone involved in the administration of this award or a close family relative of any such person. iv) The submitted story must not have been previously published by a third party. v) A story submitted posthumously will not be eligible if the author dies prior to 1 January 2019.
i) Entries may only be submitted online via the specific entry form on the HWA website https://historicalwriters.org/. Entries submitted in any other form will not be accepted. ii) Entries may be submitted from 9am on 1st March 2019 to midnight GMT on 14th July 2019.
iii) Entries submitted after that time will not be accepted. All entries will receive an automated acknowledgement of receipt. iv) Entries may be submitted by the author, their publisher or their agent. v) Although the entries will be assessed anonymously, they must be submitted in the author’s own name. vi) The submission of an author’s work by the publisher/agent will be taken as agreement by the author that they are willing for the submitted work to be considered and to comply with these terms and conditions. vii) Authors may only enter individually, not as part of a team. viii) The story submitted must be (and by submission of this form is warranted by the authors and accepted by the HWA Dorothy Dunnett Short Story Competition to be) original, fictional and entirely the author’s own work. It must not infringe the copyright or any other rights of any third party and not be libellous, unlawful or defamatory of any living person or corporate body. ix) Once submitted an entry may not be substituted for any reason. x) Authors are allowed to submit ONE story only. Only the first story submitted by any author will be considered for the prize. i) The story must not exceed 3,500 words. d) The name of the story and word count to be included within the header on every page. iv) Entries must be made electronically in Microsoft Word Documents (.doc, .docx) only. i) Entries will be judged anonymously; and the name of the author will not be linked to the story/made available to either the initial readers (if used) or the judges. ii) The judges of the HWA Dorothy Dunnett Short Story Competition will be looking for what they think is the best entry on the basis of quality and originality of prose, characterisation, period setting and storyline. iii) All entries may initially be read and judged by a team of readers who will score the entries to produce a smaller number of stories for the judging panel to read. This is not an official longlist and authors of these stories will not necessarily be advised that their stories have been selected. A judging panel will decide upon the shortlist and the eventual winner. 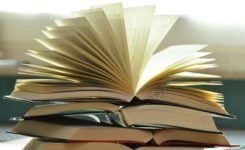 If the standard of the longlist is sufficiently high however, the HWA and Dorothy Dunnett Society reserve the right to publish a longlist on social media, and include it in any future press releases or features on any of their media channels. In that case longlisted authors will be individually contacted by email on the day the list is released. iv) The HWA reserves the right to increase or reduce the number of entries selected for the judges to read and for the shortlist at its sole discretion. v) The judging panel will be appointed by the Chair of the HWA. Its decisions will be made in an impartial and fair way and will be final. No discussion/correspondence about the result will be considered nor will any feedback be given. i) The short list (and possibly a longlist) will be announced via the HWA website https://historicalwriters.org/ in the first week of October 2019 and shortlisted authors will be contacted directly and invited to the prize giving ceremony in London the following month. All shortlisted entrants will be contacted personally by email or telephone using the details provided at the time of entry. ii) The winner and up to 2 highly commended authors will be announced at the HWA Crowns Award Ceremony in London in November 2019. The shortlisted authors will be contacted directly and invited to attend. iii) The winner will receive prize money of £500. The winner and the two Highly Commended authors will also be offered a mentoring session with both the Chair of the HWA and Norah Perkins of Curtis Brown either in person, on the phone or electronically. iv) The intention of the HWA and DDS it that the prize winning and shortlisted stories will also be published as an ebook / print on demand collection by the HWA. All shortlisted authors will receive two printed copies of the collection, and receive an award of £25 for their story’s inclusion. The aim of this collection is to enable the shortlisted short stories to be more widely distributed to the industry as well as giving the shortlisted authors a memento of their achievement. ii) All entrants (whether author, publisher, agent) will be deemed to have granted the rights for publication and distribution to the HWA and the DDS in Historia Mag (historiamag.com) and The Whispering Gallery should they win the competition. They will also be deemed to have granted the rights for publication and distribution to the HWA and DDS in a collection of the shortlisted stories as an ebook and print on demand collection if they are shortlisted. ii) Entrants must provide their name, email address, telephone number and postal address with their entry. iii) The competition will be administered by the HWA. The HWA will only ever use personal details for the purposes of administering the award, and will not publish them or provide them without permission to anyone not involved in the administration of the award. iv) Entrants must supply full details as required above, and comply with all rules to be eligible for the Award. Ineligible, obscene or fraudulent entries will be automatically disqualified. vi) The HWA reserves the right to cancel, modify or supersede this competition (including altering prizes) at any stage, if deemed necessary in its opinion, or if circumstances arise outside of its control. vii) By entering, all eligible entrants will be deemed to have accepted these rules and to agree to be bound by each and all of these terms and conditions. The HWA reserves the right to exclude entrants and withhold prizes for violating any of these terms and conditions. viii) The submission of an author’s work by a publisher or agent will be taken as agreement by the author that he/she is willing for the submitted work to be considered and that they consent to and approve of all terms and conditions contained herein and as agreement by the published or agent guarantee and procure the author’s compliance with these terms and conditions. If such publisher or agent fails to do the foregoing, the HWA may at its sole discretion disqualify the Entry and/or reclaim any Award and/or associated prize money and revise the shortlist and (if applicable) winning entries. Any author who submits an entry warrants that they have obtained all necessary publisher and/or agent consents required to submit an entry in accordance with these terms and conditions. ix) All entrants will indemnify the HWA against loss or damage (including any legal costs or expenses and any compensation costs and disbursements paid by the HWA team on the advice of legal counsel to compromise or settle any claim) occasioned by the HWA in consequence of any breach of the warranties contained in these terms and conditions or arising out of any claim alleging that the submitted entry constitutes an infringement of copyright or contains libellous, obscene or defamatory matter. x) There is no alternative to the prize stated and the prize is not transferable and no part or parts of the prize may be substituted for other benefits, items or additions. xi) The HWA will not be liable for any failure of receipt of entries. The HWA has no responsibility for any entries which are lost, delayed, illegible, damaged, incomplete, corrupted or otherwise invalid. If the HWA is unable to contact a shortlisted author despite making reasonable attempts to do so, the judges will be entitled to short list another entry. Other than the death or personal injury arising from the acts or omissions of the HWA it will not be liable for any loss or damage arising out of the winner’s enjoyment of the prize. xii) The promoter of this award is the Historical Writers’ Association. xiii) These terms and conditions are governed by the laws of England and Wales and entrants submit all matters arising in relation to these terms and conditions or the HWA to the jurisdiction of the courts of England and Wales. Nothing contained in this clause shall limit the rights of the HWA, its affiliates or subsidiaries, successors or assignees, to bring a claim against any part in any other jurisdiction.